Pam Cogburn has been a speech-language pathologist since graduating in 1985 with her MS from the University of Wisconsin-Madison. She began her career working inpatient rehabilitation before transferring to a hospital setting to also work with adults in ICU, acute care, skilled nursing, and long-term acute care. She then transferred to an outpatient setting where she worked for five years. 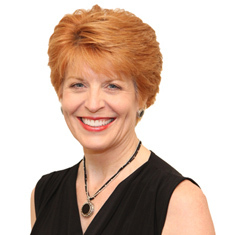 Pam is experienced with evaluation and treatment of cognitive-linguistic communication and swallowing rehabilitation of patients with neurogenic deficits including aphasia, apraxia, Parkinson's disease, dysarthria, dysphagia, and ventilator dependency. She is certified in VitalStim® for the treatment of dysphagia. In her free time, she enjoys traveling, visiting the Dallas Arboretum, her dogs, walking, Bible study, working in her garden, and spending time with family and friends.